Celebration Florida is a picturesque community in northwest Osceola County. It is south of Highway 192 and bordering Interstate 4. Only a half hour from downtown Orlando and 20 minutes to Orlando International Airport using Highway 417. Go to Celebration Florida Computer Repair. , which is known as “gem of the hills,” is a city in Lake County. It is roughly 25 miles west of Orlando and 25 miles northwest of Disney World. 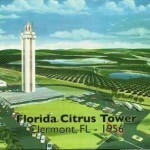 The main roads going through Clermont Florida are State Road 50 and U.S. Route 27. Go to Clermont Florida Computer Repair. 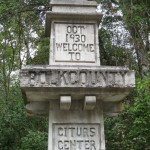 Haines City Florida is rich in history. Originally known as Clay Cut, the townspeople persuaded the South Florida Railroad company to build a railroad station there. In return the city was renamed Haines City in honor of Colonel Henry Haines, a senior railroad official. Go to Haines City Florida Computer Repair. Kissimmee Florida residents expect the best when their computers are in need of service. My computer repair company is committed to providing the best customer service experience in the industry. Go to Kissimmee Florida Computer Repair. Loughman Florida is located in the north-east corner of Polk County, Florida near the Osceola county line. This area has experienced tremendous growth since 2000 due to its proximity to Walt Disney World and Orlando, Florida. If you’re looking for computer repair service near Loughman Florida, PCMechanic Computer Repair is a great choice. Go to Loughman Florida Computer Repair.